This exclusive release between New Jersey’s Packer Shoes and adidas revives the famous EQT Elevation model which was worn by basketball icon Kobe Bryant back when he was just a rookie. 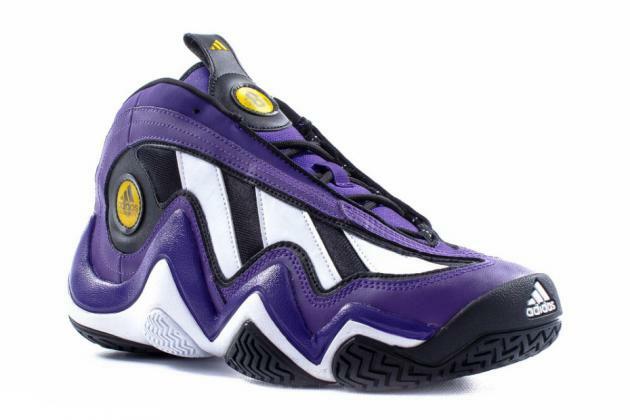 Deemed the adidas Crazy 97 “1997 Dunk Contest,” the kicks retain their “Feet You Wear” technology, EVA midsole, and bold Lakers-inspired upper of purple and black leather and mesh with patent white Three Stripes branding. Finishing off the look are gold holograms housing Bryant’s former jersey number. Available in-store and online in limited quantities for $110 USD.